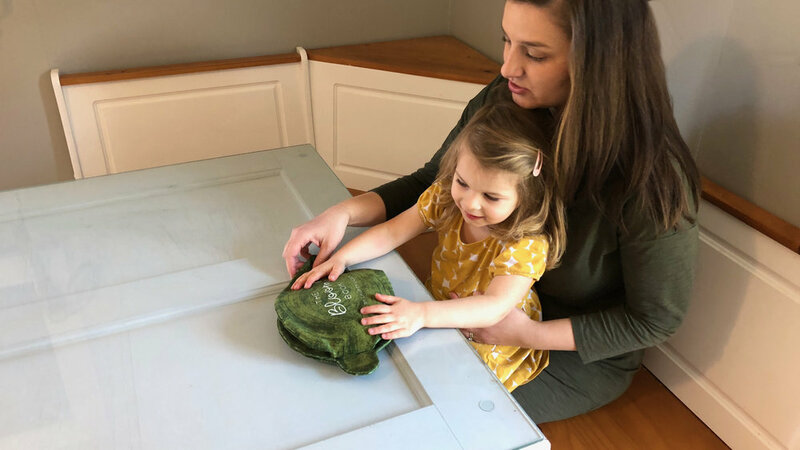 The Bloom Book is a uniquely interactive product that supports the significant early-childhood ritual of parents reading with their child. 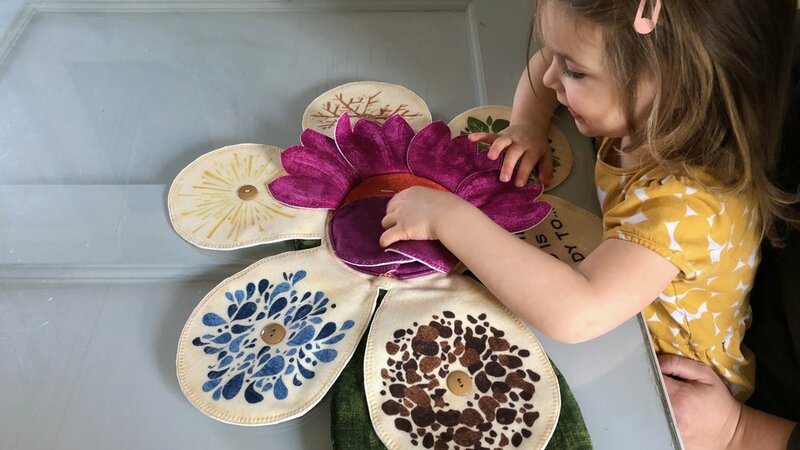 It is a fabric book that tells the story of a seed becoming a flower and the experience of turning the pages is, in fact, opening the petals of a flower, allowing the users to reenact the blooming process of which they are reading. 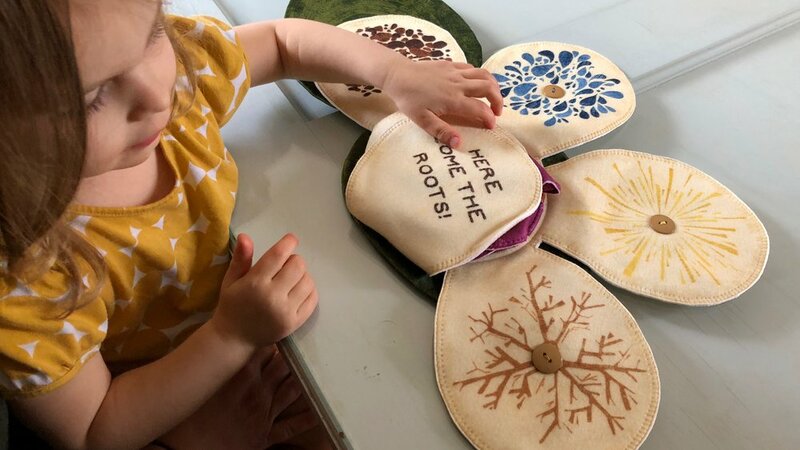 Pages made of soft fleece, embroidered text, and buttons that represent the seeds, all further invite the readers to touch. Through tactile engagement, The Bloom Book exposes children to a natural phenomenon, and hopefully, sparks their curiosity to find examples in the real world. The inside of the book holds a small surprise: a little bumble bee pouch that contains purple coneflower seeds for the parents and child to plant together.